粉, 粉色 Delta Boeing 767-400ER. Delta's 粉, 粉色 Boeing 767-400ER for the Breast Cancer Research Foundation.. Wallpaper and background images in the 粉（色） club tagged: pink delta boeing 767-400er airplane breast cancer. 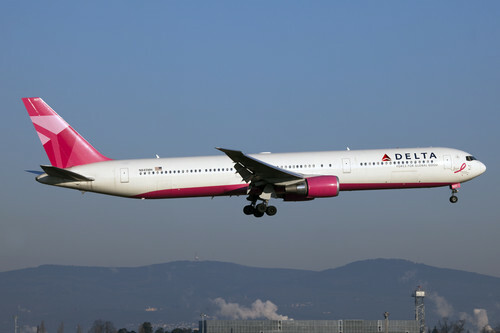 Delta's 粉, 粉色 Boeing 767-400ER for the Breast Cancer Research Foundation. This 粉（色） photo might contain 空中客车公司, 空中客车, 空客, 宽体飞机, 宽体, and 双通道飞机.